Free to browse. Purchase as desired from local producers. We are a local, producer-only farmers market, operating Saturdays (April 14th-November 17, 2018) from 8:30 a.m.-11:30 a.m. RAIN OR SHINE. We are in the Public Parking lot - 204 S. Talbot Street) between Talbot and Fremont Streets, one block from the library in St. Michaels, MD. ALL vendors can accept cash in addition to credit, debit and SNAP/EBT cards! 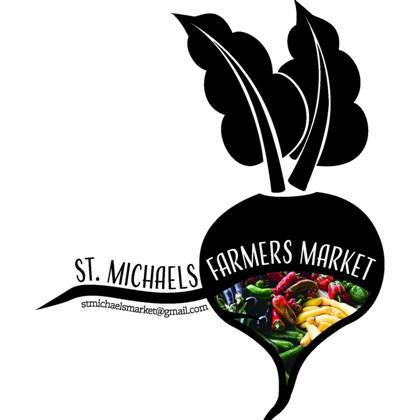 The St. Michaels Farmers Market (SMFM) favors farmers who cultivate the land using sustainable agricultural practices or raise livestock using humane and sustainable practices, and producers that use locally sourced ingredients whenever possible. By providing these farmers with direct markets for their products, SMFM helps sustain the regional farm economy and helps ensure the future of farming in the Mid-Atlantic.